“Measuring the return on marketing investment ROMI seems a simple enough concept. 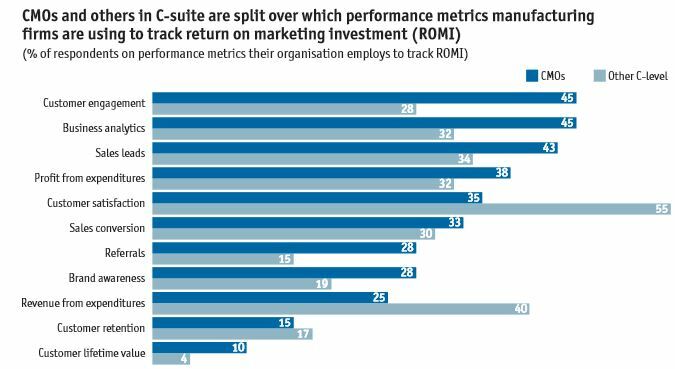 Yet many chief marketing officers CMOs at manufacturing firms are still struggling to bridge the gap between what they measure and what P&L owners care about. Business owners are rewarded based on revenue and profitability growth. The metrics that marketers track—leads generated, customer satisfaction, search engine referrals — are also related to revenue less often to profitability, but not always directly. Perhaps this is one reason some CMOs have a higher opinion oftheir own performance than their C-suite counterparts. “22% are using brand awareness as their sole measure to evaluate their marketing spend. Make sure you’re using some kind of metrics on most of your marketing. Be ready to invest in getting some kind of data relevant to your measures. Make coordinating your traditional and digital media campaigns a goal. Set specific measurable objectives for all your campaigns. Put ROI in stated objectives for all your vendors (so they know your expectations to retain them or to cut them loose). Link marketing ROI to employee compensation, perhaps a bonus. Start today… as the pay off and learning curve will likely take a few years. Make sure your marketing metrics are accepted by finance. 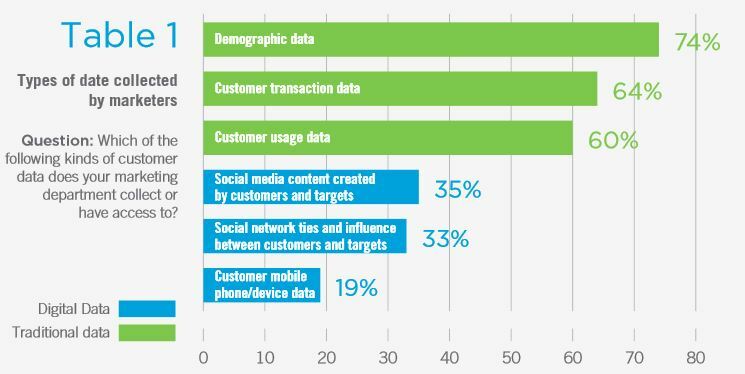 Make sure your data is: timely, actionable, linked at the customer-level, used to personalize marketing and target customers. But watch out for under- or over-attribution of ROI to Digital, as this recent Nielsen study found out: “Google, Facebook Underestimated By Marketing-Mix Models in Survey Backed by Seven Top CPG Players.